TORONTO, ON, March 21, 2018 – Fundata Canada Inc., a provider of Canadian investment fund data, is pleased to announce that it has partnered with Barchart, a global leader in market data and technology services, to provide premium Canadian data on mutual funds and exchange-traded funds (ETFs) to The Globe and Mail’s Globe Investor website. Fundata’s data feeds integrate seamlessly with Barchart’s state-of-the-art platform to provide an exceptional user experience for visitors to the Globe Investor site, adding value to The Globe’s standing as Canada’s premier source for financial information. 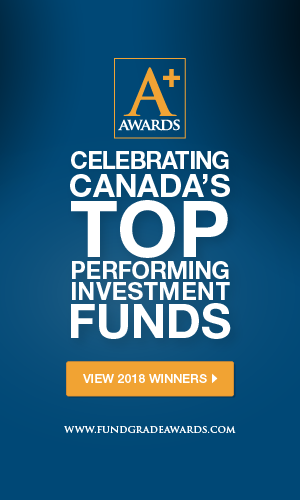 With its commitment to Barchart’s superior delivery platform and Fundata’s investment fund data service, The Globe and Mail cements its position as a leader in providing visitors to its Globe Investor site with a trusted source of timely investment fund performance data and fundamental metrics. Fundata Canada Inc. has been providing data aggregation and dissemination services to the Canadian media and financial marketplace since 1987. Fundata is a major provider in the distribution of fund and stock information in Canada. Our database contains data on over 40,000 investment fund products. Fundata provides customized data feeds, top-shelf analytics, cutting-edge software tools, and seamless hosted web solutions for fund companies, back office systems, investment planners, banks, trust companies, resellers and redistributors, and online, print, and broadcast media channels.